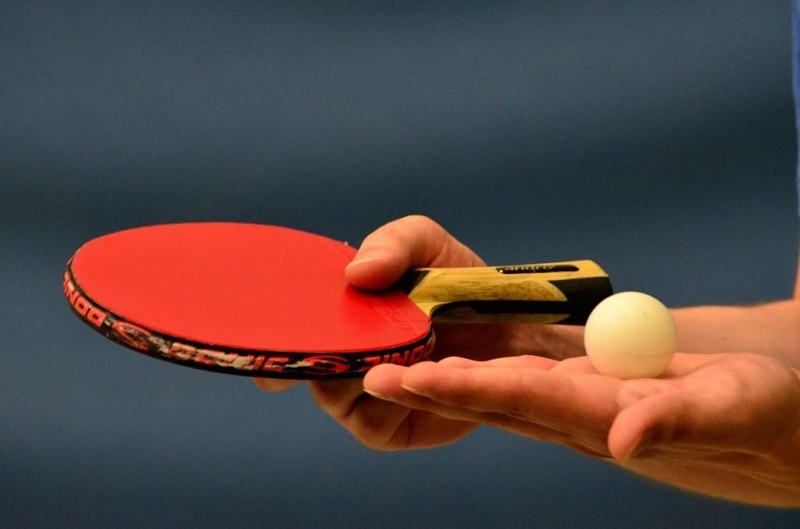 In table tennis, service is the blow by which the goal begins and the ball is put into play. At the origin of this sport, the service was simply used to start the game and it was usually a defensive shot. Nowadays the game has changed a lot and it is an eminently offensive blow, since the high competitiveness of this sport means that the players want to win the goal from the moment of the service and if this is not possible, not to provide the opponent with the opportunity to Take the initiative during the point at stake. The opponent who is going to play the rest must look at the hand with which the player is going to make the serve and must not lose attention because of the movements made as they are usually made to mask the type of serve to be made. Depending on the height of the service, this will be the contact since these are directly proportional. To get a low service try to lower your center of gravity, for which it is essential to bend the knees. This simple technique will make your services more difficult to be attacked. Topspin, backspin, and sidespin: rotation effects that the player gives to the ball with the shovel. The rotation influences the trajectory of the ball thanks to the Magnus effect. Topspin is also known as the “stone effect”. Flip: the movement that consists of hitting the ball very hard when it bounces very close to the net. This technique is to stretch the arm, place the paddle under the ball and make a quick movement of the wrist to make it past the network. This movement must be done very quickly since you have to put the shovel under the ball once it has bounced. Blocking: movement by which the shovel is left immobile with the intention of blocking a winning ball. Net: not valid service in which the ball bounces in the opposite area having previously touched the net. Loop: the effect that is printed on the ball after being cut to be able to perform a free movement or topspin when the hit is returned. Loop Flip: consisting of moving the paddle from left to right so that the ball changes direction when coming into contact at the opponent’s table. What is your favorite stroke? Do you train him in some special way? Sports psychology techniques: a matter of magic?